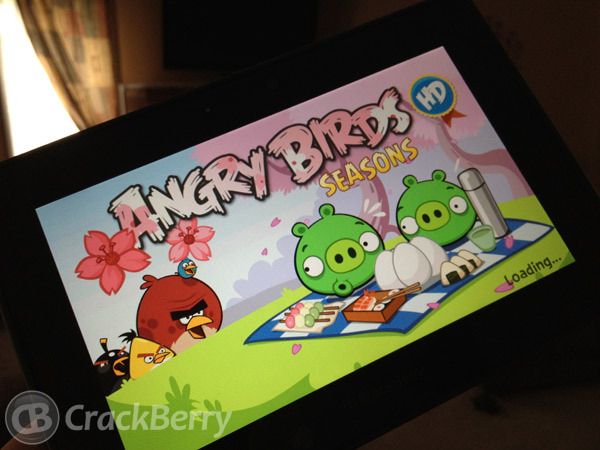 Today Rovio has updated Angry Birds Seasons to version 2.3. The new version brings the levels up to par with the other platforms which include Cherry Blossom, Year of the Dragon, Wreck the Halls, Ham'o'ween and many others. The download should be available in BlackBerry App World, but if not remember it can take up to 24 hours to go across all the servers. If you have not downloaded this version, or any of the Angry Birds games, I suggest doing so. They're quite addictive.